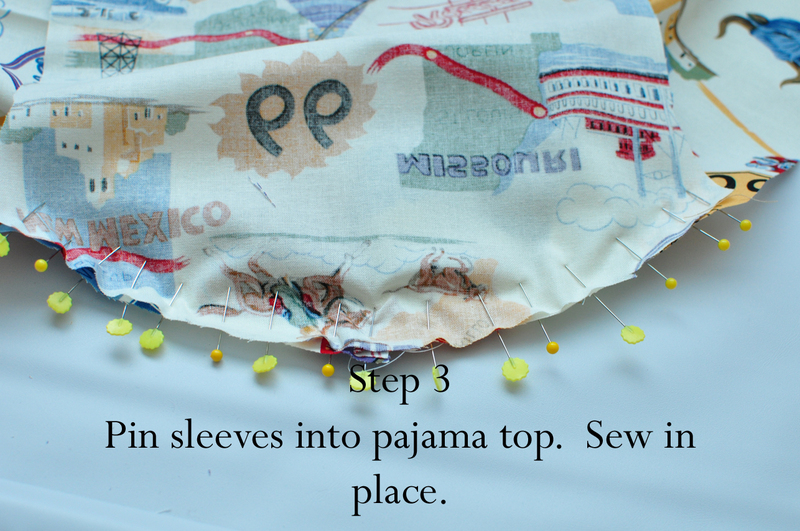 Here is the tutorial for the boys’ pajamas that we used in Project Run and Play last week. I made another pair for this little cutie and took some pictures this time. Can I pause for a minute to tell you how much I love this kid? And how his adoption was such a miracle. Truly. I really need to tell you all the stories, but I have just been keeping them in my heart for a year now. They need to be shared, but I feel so protective of his birthmomma, who loves that little boy dearly and made such a hard but great choice for him, that it might be a little while yet. Maybe someday soon…. Ok, back to the subject of jammies. I am planning on making some holiday ones, in my mind the cutest Christmas card ever would be with all the kids in some retro-holiday-striped pjs. Now, we’ll just have to see I can get them done. 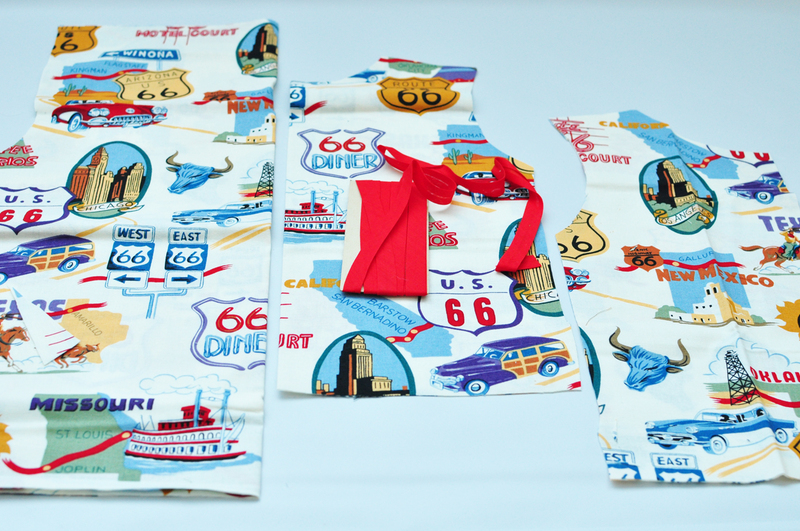 Cut out two fronts (add 1 inch to overlap for buttons), 1 back piece (cut on the fold) and two sleeves pieces. I used an old stained tee shirt for the pattern. 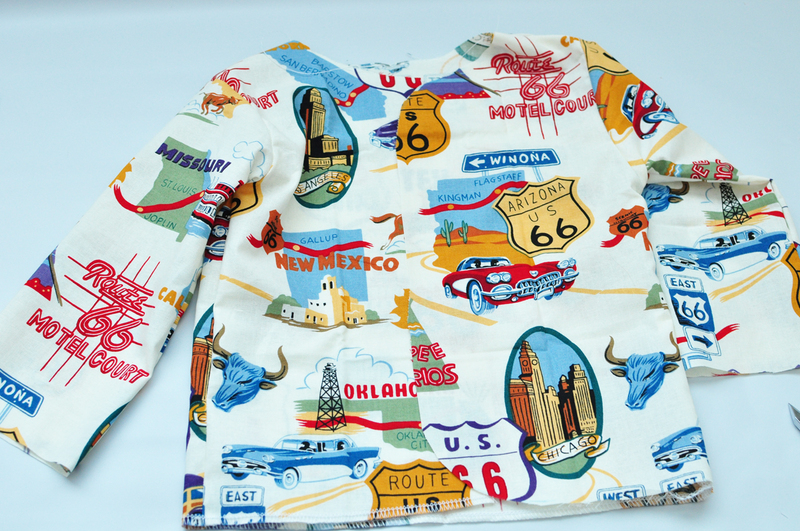 Go HERE to learn how to cut up a tee and use it for pattern pieces. 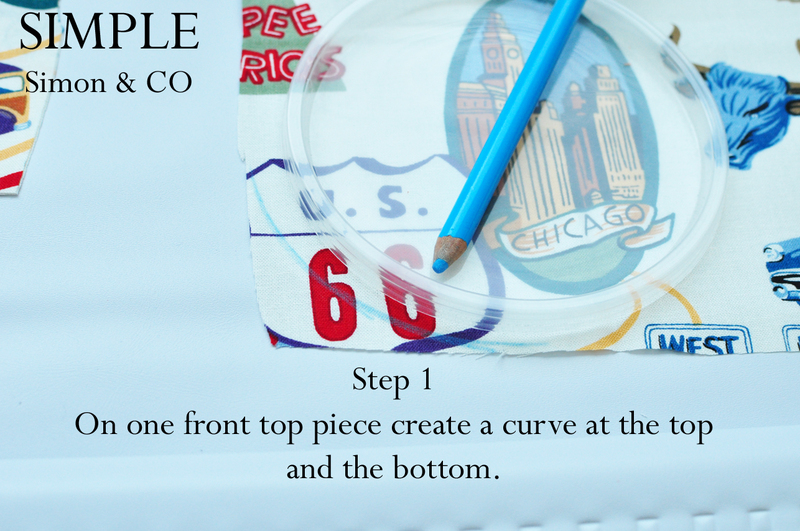 Once you have your pattern pieces cut, you are ready to start…. 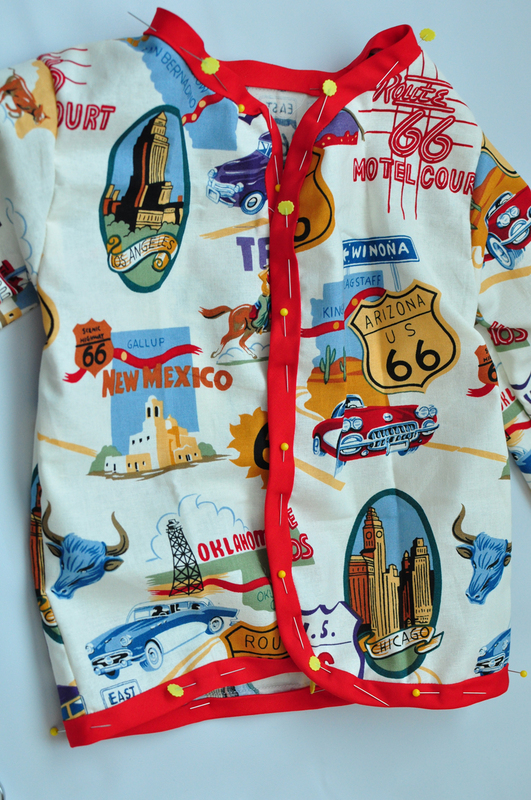 Your pajama shirt should now look like this. 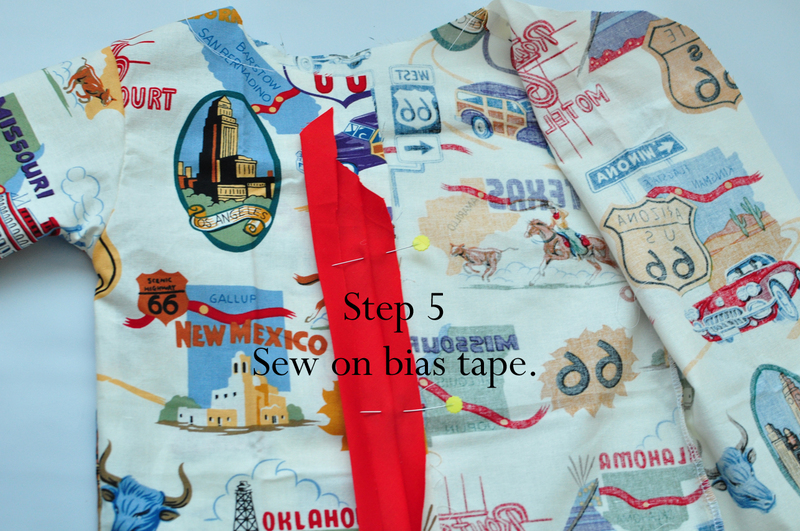 If you don’t know how to make or sew on bias tape, go HERE. It’s a great tutorial. 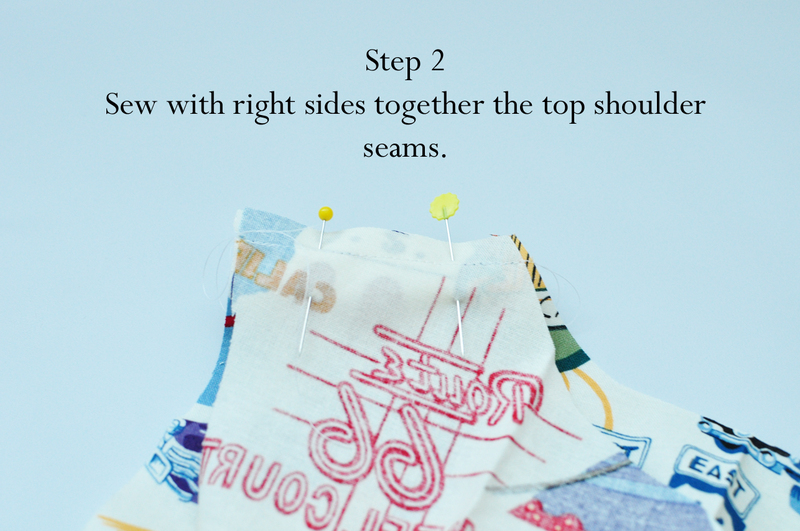 After you have sewn the unfolded part on, fold the bias tape around to the back and pin. Now topstitch the bias tape down. Here’s what it will look like when the bias tape is all sewn on. Two more things and you are done. 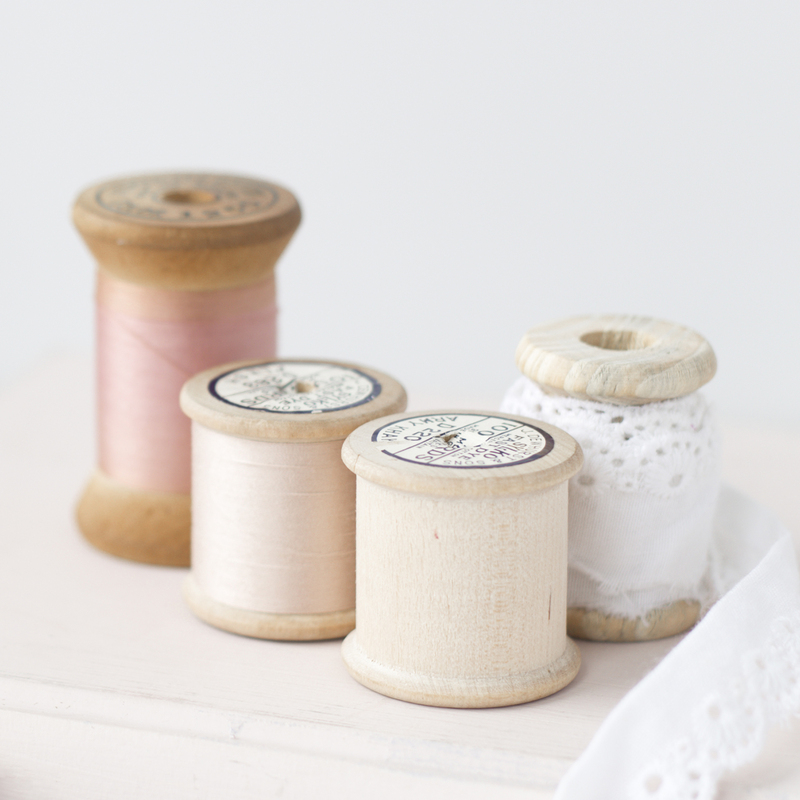 Find where you want your button holes to be and stitch them in. Sew on the buttons and you are done! I did make all the boys pajama pants by tracing existing pairs to complete the looks. If you don’t know how to do that, go HERE. They are very easy to do. I did add bias tape around the hems of the pants to tie in the bias tape on the shirt but that was about it. Very “Sandlot” pajamas. Now, all the boys will have their sandlot jammies to watch the movie in! 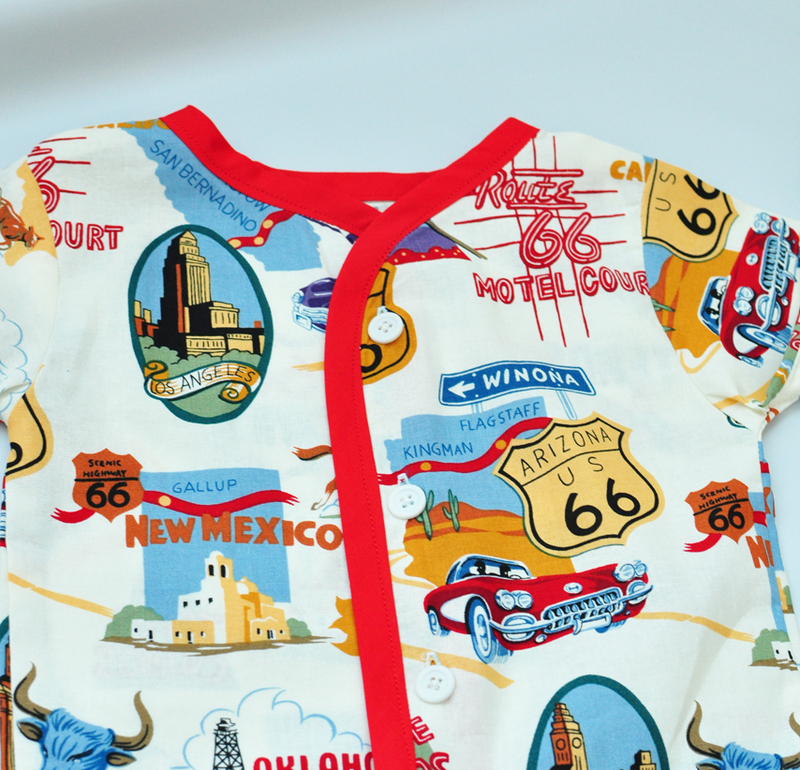 These pajamas are made out of quilting fabric which isn’t flame retardant. So, please make your own decision for your own children based on that. 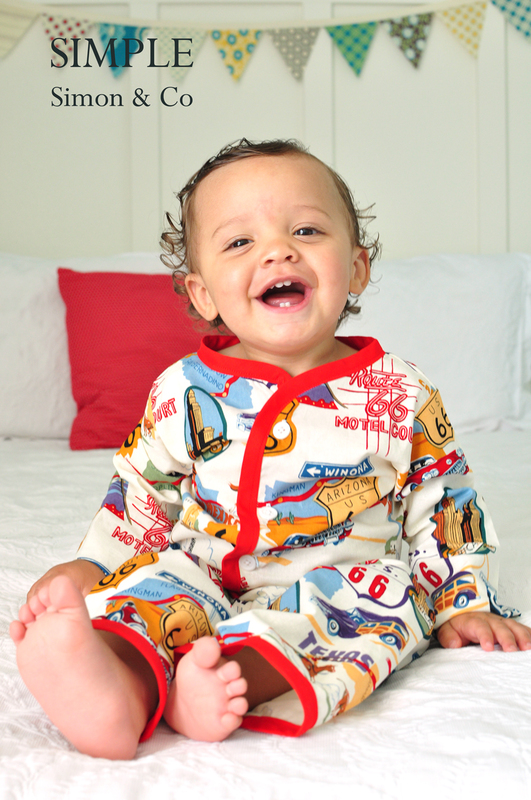 Oh my goodness – those pajamas and that little boy – perfection!!! So cute!!! darling! I kind of want to make myself some. so so adorable! and the PJs aren’t bad either. 😉 hehe, love the PJs, great job! I love the material! And your pics are so good! The fabric with the red bias tape looks so awesome! 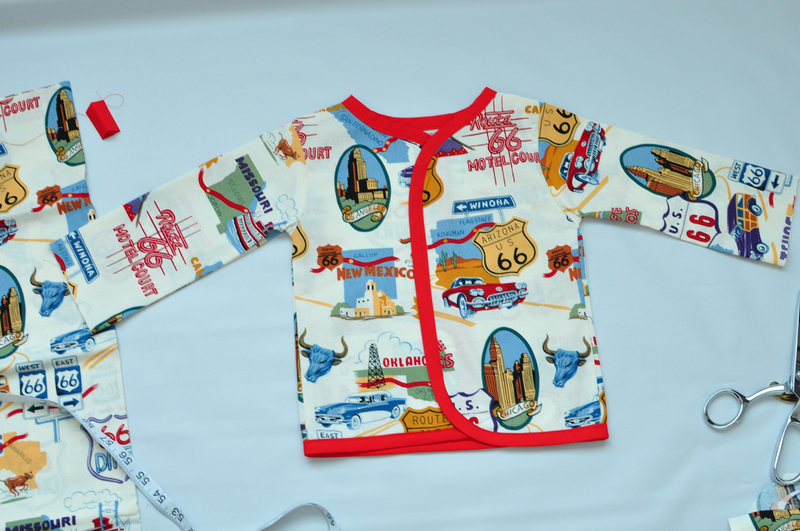 I have viewed the tutorial however I do not see a working link to the pattern for these Pjs. Please advice, thank you!